Capped off by an excellent Shooto Flyweight Championship bout between new champion Rambaa “M-16” Somdet and Toboru “Shinpei” Tahara, Shooto: “Revolutionary Exchanges 3” was another solid event this evening at JCB Hall in Tokyo, Japan. Also on the card, Kotetsu Boku picked up an incredible comeback victory when he rebounded from a shaky start with a one-punch knockout of Yukio Sakaguchi, while Megumi “Mega Megu” Fujii took her record to 19-0-0 with a first-round submission of “Windy” Tomomi Sunaba. In the night’s main event, Rambaa “M-16” Somdet defeated Noboru “Shinpei” Tahara by Unanimous Decision (30-26, 30-26, 30-27) after three rounds to become the new Shooto Flyweight (115-Pound) Champion. The pair had met once before at Shooto: “Tradition 3” in September of 2008, where Somdet won a Unanimous Decision. He repeated the feat tonight by countering Tahara’s early takedowns with submission attempts from his back before returning to his feet. He racked up points with a series of quick punching combinations and vicious kicks to the legs, head and body of Tahara en route to a dominant decision win. Somdet improves to 7-2-0 with the win and becomes the first Shooto Flyweight Champion. In a bantamweight rematch, Ryuichi Miki defeated Masaaki Sugawara by Unanimous Decision (30-26, 29-28, 29-28) after three rounds in what was a clear candidate for Fight of the Night. The fight turned into a kickboxing bout, with both fighters throwing their best shots in search of a big knockout. Miki’s footwork and superior defence was the story of the fight as he sidestepped punches from Sugawara and landed numerous combinations to take the clear-cut decision win in a great fight. Miki avenged his first career loss in the process. Miki improves to 10-3-3 with the win. A lightweight bout saw Issei Tamura defeat Gustavo Falciroli by Unanimous Decision (30-27, 30-27, 30-28) after three rounds to remain undefeated. The fight was contested almost entirely on the ground, with Falciroli repeatedly trapping Tamura in rubber guard. However, Tamura powered out and landed effective strikes from the top that earned him the nod on all three judges’ scorecards. Tamura improves to 5-0-0 with the win. Takuya Wada [Pancrase] defeated Shiko Yamashita [Shooto] by Submission (Rear Naked Choke) at 4:26 of round three. It was nearly a clean sweep for Shooto, as Yamashita did well to control much of the fight with Wada, but Wada persevered and pulled off the submission late in the fight to notch a measure of revenge for his Pancrase allies. Wada improves to 19-8-10, 1 NC with the win. 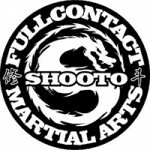 Kotetsu Boku [Shooto] defeated Yukio Sakaguchi [Pancrase] by KO (Punch) at 1:54 of round one. This quick but crazy fight saw massive underdog Sakaguchi shock the crowd by dropping Boku early on and nearly choking him out with a rear naked choke seconds later. Boku managed to escape and stood up, then landed a picture-perfect counter left hook as Sakaguchi rushed forward. Sakaguchi fell face-first to the mat, unconscious. Boku improves to 15-6-2 with the win. Mamoru Yamaguchi [Shooto] defeated Kiyotaka Shimizu [Pancrase] by Majority Decision (30-27, 29-28, 30-30) after three rounds. Yamaguchi, a huge favourite to win the fight, found surprising difficulty in stopping Shimizu. While Yamaguchi landed effective strikes and controlled much of the fight, it went to the judges and they awarded him with a well-earned but disappointing decision. Yamaguchi improves to 22-5-3 with the win. Megumi “Mega Megu” Fujii [Shooto] defeated “Windy” Tomomi Sunaba [Pancrase] by Submission (Armbar) at 3:24 of round one. Fujii set an example for her Shooto team with a quick takedown and some solid ground and pound on her Pancrase foe. She used short strikes to pass Sunaba’s guard and briefly took her back, then methodically worked for the inevitable armbar finish in the first round. Fujii improves to 19-0-0 with the win. Shuichiro Katsumura defeated So Tazawa by Submission (Brabo Choke) at 3:54 of round one. After an exchange on the feet, the fight hit the mat and Katsumura secured a front head lock on a sprawling Tazawa. He worked slowly to set up a Brabo Choke and eventually secured it, which forced Tazawa to quickly submit. Katsumura improves to 10-7-3 with the win. Yoshihiro Koyama defeated Tetsuji Kato by TKO (Punches) at 1:22 of round two. Koyama dictated the striking exchanges, though Kato scored repeatedly with hard leg kicks, and he finished Kato off with punches in the second round. Koyama improves to 13-3-1. Daisuke “Amazon” Sugie defeated Paolo Milano by Unanimous Decision (20-17, 20-18, 20-18) after two rounds. The fight was Sugie’s first in over four years after his 2005 retirement. He holds victories over Mitsuhiro Ishida and Kultar Gill and has fought some of the sport’s top lightweights. Sugie improves to 8-6-1 with the win. While the event received extremely little fanfare, “Revolutionary Exchanges 3” was one of the best Shooto cards of 2009 and saw Shooto win out over its rival Pancrase. Thanks to Tony Loiseleur and Daniel Herbertson of Sherdog for their live updates from JCB Hall.